KEW ENGG. & MFG. PVT. LTD. offers comprehensive Roll Stretch Wrapping Machine. 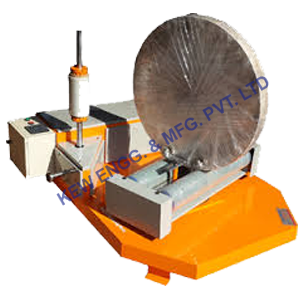 220 V, single phase, 15 Amps, & 1.5 KW power supply, Our Roll Wrapping machine is built with International Standards and highly suitable for most of the industries exporting their goods. It is easy to operate, maintain and user friendly also sturdy for heavy duty use.